Although a hearing test is nothing to worry about, it can cause some unease to walk in unprepared. Knowing what to expect will help you approach the test with an open mind and optimism about solutions. The first step will be a consultation with your hearing specialist at Hearing Group about your hearing history and any noise-related events that have come up in the recent past that might have affected your hearing. After discussing your family history, as well, you will schedule or begin your hearing test. Hearing tests often take place in a soundproof room or booth, and you will be asked to wear headphones or earplugs specific to the test. Among the many types of hearing tests, three are the most common for those who wonder if they have hearing loss after childhood. The purpose of pure tone audiometry is to test your ability to hear sounds at different volumes and with different pitches or frequencies. The sounds will not be incredibly loud and should not be uncomfortable for you to hear, but they will begin at a louder level and get progressively quieter. Other testers will vary the volume and frequency to assess your ability to hear the sounds. Some tests will have a button you can depress to indicate your ability to hear the sounds. Other testers will ask you to raise your hand when you hear a sound. Nobody can hear all the sounds played, so don’t worry if you go for some time without hearing a tone. Just focus your mind and let the test happen. In addition to pure tones, hearing tests can also assess your ability to recognize speech. These recordings of human voices may be broken up into words or shorter units of speech called phonemes. In much the same way, speech units will be played for you at varying volumes, addressing not only if there are quiet voices you cannot hear but also if high or low pitched voices are difficult for you to hear. Word recognition is another aspect of these tests, discovering if there are some combinations in language that are more difficult to understand than others. A final type of hearing test is to conduct tympanometry. After taking a visual assessment of the structure of the outer ear and using light to investigate the inner year, your hearing specialist may use tympanometry to assess the ear canal’s sensitivity. A flexible rubber probe will be placed into the ear with the ability to simulate air pressure changes. The probe will measure the eardrum’s response to a variety of stimuli, such as low-pitched tones. These tests can be especially useful to identify if there is an anatomical response to pressure that cannot be identified with a classic pure tone audiometry test. After your hearing test has taken place, the results will be displayed on an audiogram. Don’t worry if the results don’t mean anything to you at first. Our team at Hearing Group will interpret the results for you. In general, the sounds you’re able to hear in at least 50 percent of the instances in the test are recorded on the graph. The horizontal axis goes from left to right from low to high frequencies. The vertical axis goes from bottom to top from very loud to very soft volumes. If you are able to hear soft sounds at a certain frequency range, you will see a bar extending near the top of the graph. If you can only hear rather loud sounds within a range, the bar will stop near the bottom of the graph. These horizontal bands across the audiogram identify stages of hearing loss. The top stratum designates normal hearing ability. The middle strata denote some hearing loss. The bottom stratum identifies profound hearing loss. Our team at Hearing Group will use these results to determine the right kind of hearing aid for you. The most important part of a hearing test is your willingness to take part in it. You will only stand to benefit from the hearing improvements you experience after getting an accurate assessment of your current hearing. After the hearing exam is complete, you will be able to move ahead with developing a plan to make your life easier. It is recommended that people over the age of 50 schedule an annual hearing test. 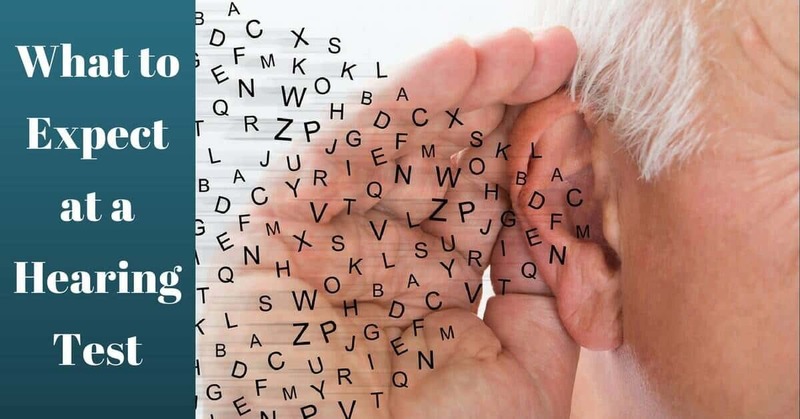 Contact us at Hearing Group today to begin the process to better hearing.